How Much Do POS Systems Cost? Factoring in all costs, restaurants save 47% over three years with Upserve’s cloud-based Restaurant POS system compared to legacy on-premise solutions. We lay out all of the costs you will encounter when buying a POS system. 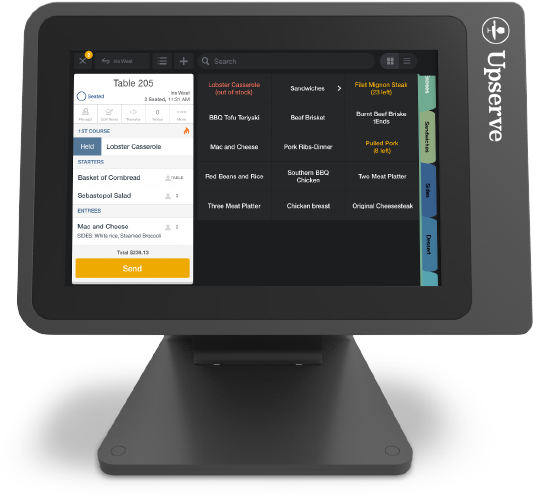 Factoring in all costs over 3 years, Upserve’s cloud-based POS saves the average 3-terminal restaurant 47-51% compared to a legacy on-premise solution. That’s over $27,000! What’s the Difference Between a Cloud-Based POS and a Legacy, On-Premise System? Traditional POS systems run on closed networks and store data on local servers. That means everything is stored in your restaurant’s back-office computer, so you can’t access it from your phone or home laptop. These systems place the risk on the restaurateur; higher upfront costs, perpetual licenses, and expensive support contracts place your restaurant in a position to invest in a system that may or may not work. Cloud-based POS systems store data on the web, so you can access your restaurant’s data 24/7, from anywhere. Switching to a cloud-based POS offers lower upfront and support costs, as most require a monthly or annual subscription. When purchasing a cloud-based system, the risk is transfer from the restaurateur to the service provider who spends millions of dollars building a product that’s charged by use (monthly) rather than upfront. This means that if the POS system doesn’t live up to your expectations, you can migrate away from the system as easily as deleting an app. Nucleus Research states that cloud applications deliver 2.1 times the return of investments of traditional on-premise solutions. Why Do Restaurants Switch to Cloud-Based POS Systems? Access to data 24/7, so you can manage your POS from anywhere. Instant upgrades, so your restaurant stays on top of new technologies and security requirements. Online ordering, loyalty programs, payments, and other applications integrate more easily with cloud platforms than with Windows-based POS. Support can assist cloud systems remotely – via phone, email, chat – and help resolve issues faster than waiting for a support tech to arrive on-site. No support contracts or additional fees to pay, meaning a lower total cost of ownership and a higher return on your investment. POS hardware expenses will vary depending on what your restaurant needs. Each system is configured to your specific restaurant’s specifications. 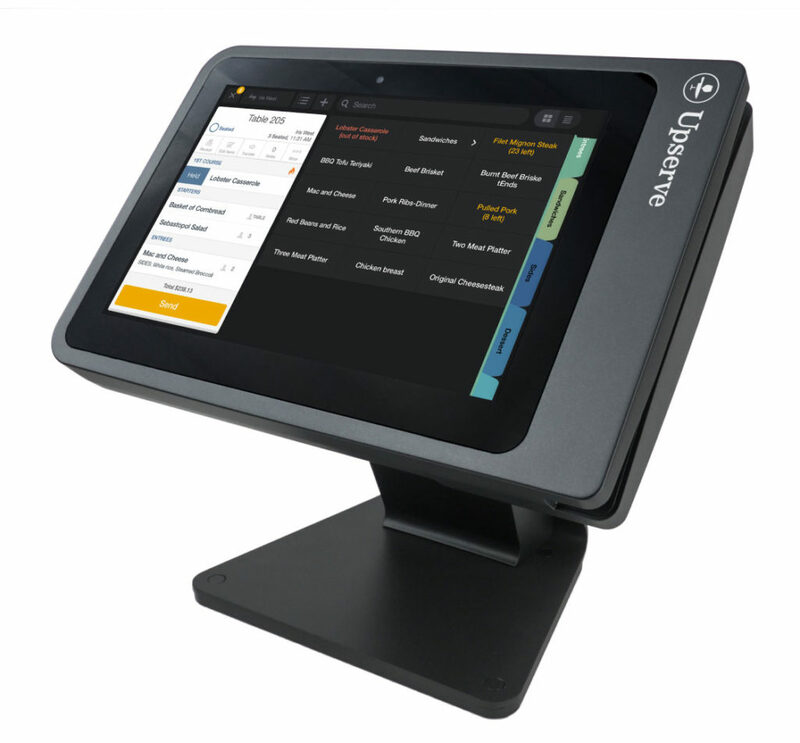 You may only need a single tablet, cash drawer, printer and credit card scanner – or you may need multiple terminals for the bar and restaurant, mobile POS solutions for tableside ordering, and a kitchen display system that expedites back of house operations. Regardless of your needs, your POS hardware costs will be much lower with a cloud-based solution. You’ll likely have a slim touchscreen POS terminal — typically an iPad or Android tablet — as opposed to a proprietary, clunky computer with an expensive software licenses. 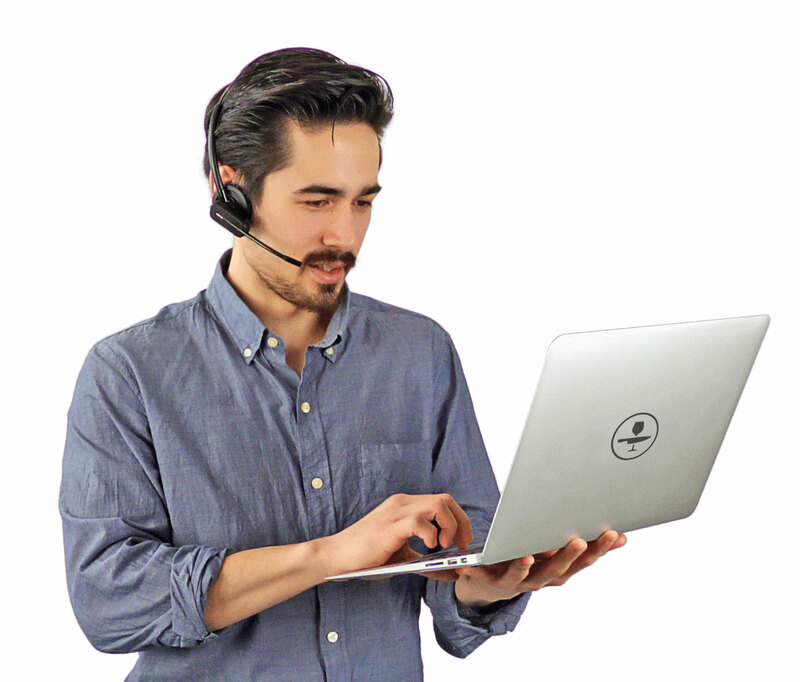 Independent research by Nucleus found that Upserve’s hardware costs were two to five times less than traditional terminals with back-office computers (like Micros and Aloha). Nucleus found Upserve’s customers’ total hardware cost start at $2,000. By comparison, traditional terminals typically range in cost from $13,000 to $23,000, including back-office computers. Savings of $4,406 (52%) in hardware costs! Be optimized for your specific restaurant needs. Ensure you’re always using the latest technology versions and security requirements. Offer 24/7, on-demand support if you run into trouble (for FREE). When considering the overall price of POS software, be sure to factor in these variables, even if costs a little more each month. With all the recent POS hacks, it’s important to know that your system will be protected with the latest version of software, complete with security and performance improvements across the board. You shouldn’t only look at the costs of a system – the benefits of system you choose should also be your main consideration. For example, Software should also allow your business to become more efficient, saving money and boosting sales. For example, Upserve has helped PRESS Bistro achieve a 30% increase in revenue and a 10% decrease in time-to-table. 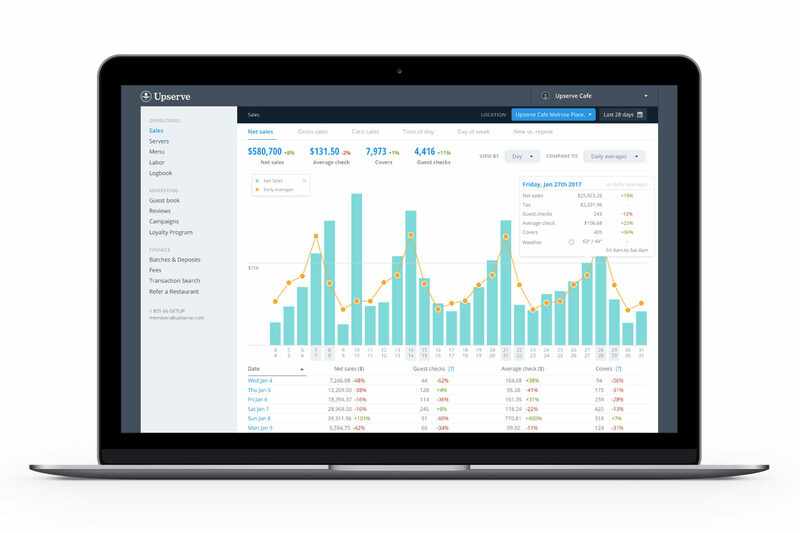 Savings of $2,656 (39%) in software and subscription costs! The cost of installation will depend on whether or not you pay a fee to have on-site installation or you install the restaurant management platform yourself. Upserve offers a comprehensive, in-person installation and configuration starting at $1,700 for an average installation. That’s over 50% less than the average installation cost for a traditional POS system. 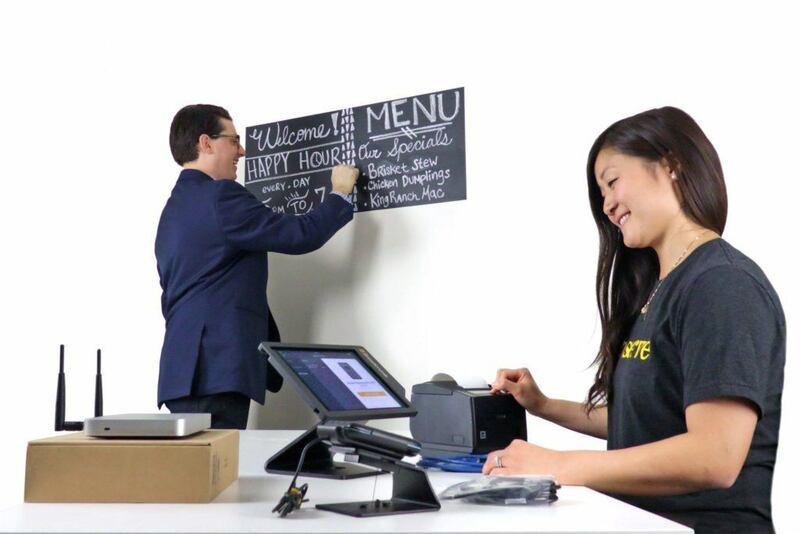 And while other systems require you to hardwire your POS terminals, Upserve’s “Restaurant Reliable” POS works over WiFi and LAN connections, meaning you’re able to leverage the flexibility of a mobile POS system. And don’t worry, the system is still as reliable as the hard-wired systems, but without the added cabling, installation costs, and bulky systems. That’s a 50% savings in installation costs! When it comes to Support and Service agreements, cloud-based systems offer the most bang for your buck. Nucleus found that restaurants were paying an average of $4,200 per year on hardware and software support for their traditional POS system. That’s more expensive than the entire Upserve annual subscription! And ours includes free 24/7/365 support, based right here in the U.S. accessible through in-app chat, phone or email. Savings of $4,200 (100%) for 1 year of service and support costs! Training costs are often overlooked until the time comes to start working your new POS system because they often don’t have a price tag associated with them or are lumped into the installation. A new POS system should include training for both front-of-house and back-of-house employees. Think of the time and money you’ll gain from having authorized staff effortlessly make menu adjustments, add coupons and discounts, and handle bill payments without ever stopping for help. For these reasons, training is perhaps the richest source of ROI for any POS platform. Savings of $1,153 (83%) when your manager takes time to train the staff on a new POS. Effective training ensures that everyone on your team knows the system, can operate all functions, and can solve problems on their own before calling support. Even if 24/7 service is included in your plan, it’s always better if your staff is able to solve problems on their own, especially when the restaurant is packed with dinner guests. That’s why we invested in a full training mode that doesn’t disrupt service flow, take your system offline, or require you to void out tickets. Nucleus research found that Upserve saved the average restaurant 47% compared to a traditional POS system due to its usability, flexibility, and lower initial and ongoing costs. This enables managers to focus on running their restaurants instead of managing technology. Savings of $27,600 (47%) in cost of POS ownership, over 3 years.